Homemade Glue and Paste Recipes for preschoolers through second grade. Mix equal parts of shaving cream with glue. You can add food coloring for color if you want. Use a craft stick to stir and to put on paper. The mixture will puff up when it dries. Using clear Karo or otherwise known as corn syrup add a few tablespoons into plastic Dixie cups then add a few drops of food coloring have child paint with this then add glitter let dry for 24 hours this turns hard and glazed we used this idea to make a valentine. I used an 8-1/2 x 11 sheet of paper drew a heart on it had the children paint it then laid an 8-1/2 x 11 sheet of colored construction paper with a heart cut out to let the painted part show through. 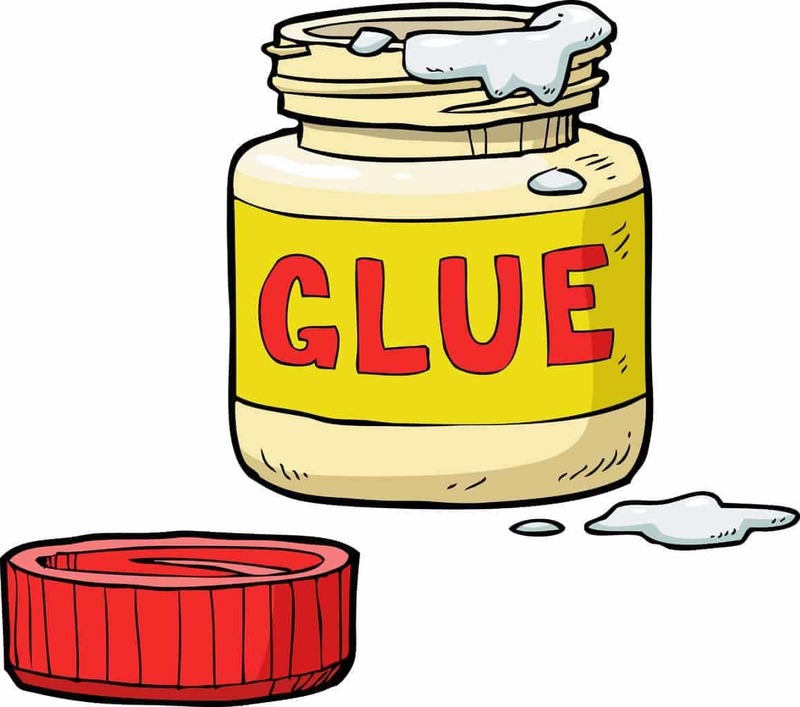 To keep your glue bottles from clogging up take a cotton swab and put Vaseline on the inside of the cap and also a little on the outside of the tip. When you use your glue you won’t have to unclog the bottle. Homemade Stickers: 1 Tbs. Jell-O (Any Flavor) 2 Tbs. BOILING water Mix water and Jell-O until dissolved. Paint to the back of pre-cut shapes of paper. When dry, children can lick and stick, and they taste good. Mix water, syrup, and vinegar in a saucepan. Bring to a boil. Reduce heat. Mix cornstarch and cold water in a separate bowl. Add the cornstarch mixture SLOWLY to the first mixture. Stir constantly. Remove from heat. Let stand overnight before using.